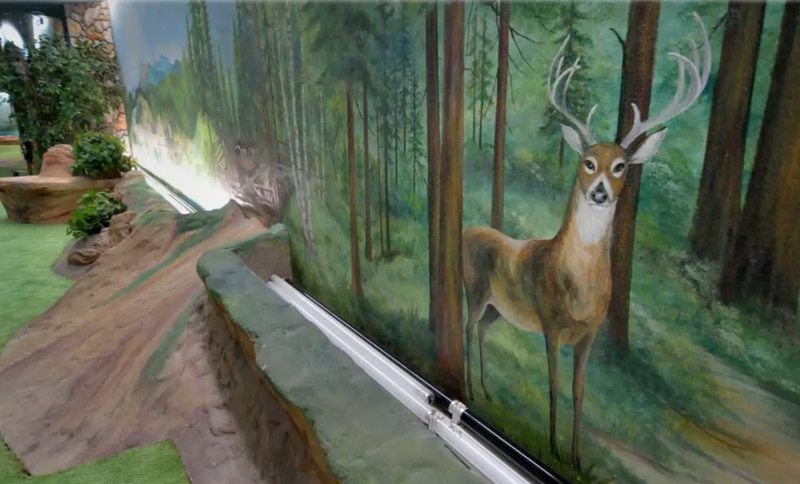 If the world has got you down, you can always go off the radar — or, in this case, buy a 15,000-square-foot bunker off the Las Vegas strip built entirely underground. The subterranean home, built by Avon executive Girard Henderson in the 1970s, has recently returned to the market with the astonishing price tag of $18 million. 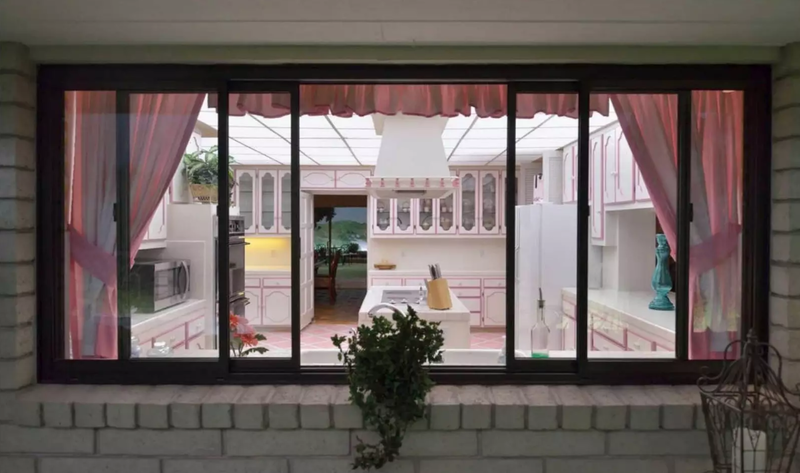 Throughout his life, Henderson has been a proponent of underground living — he even presented it as a viable form of alternative living during the 1964 New York World Fair. The house itself was built as a way for families to protect themselves in the case of a nuclear attack, which was a common fear at the time. 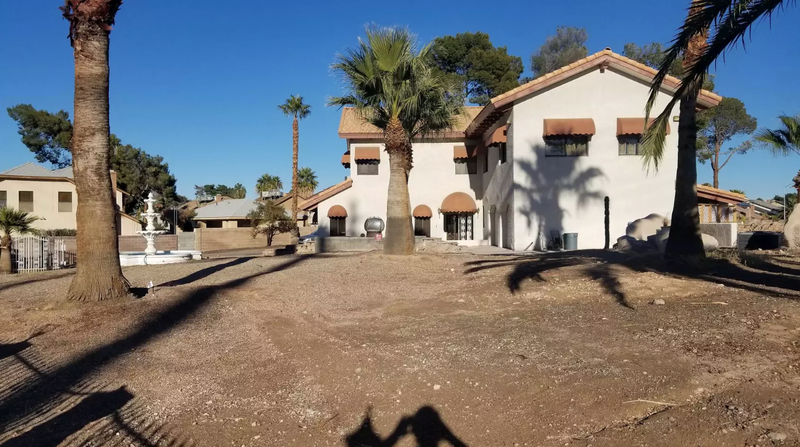 From the outside, the property looks like your average Nevada home — but the above-ground house is actually the add-on property, which Henderson’s wife built after his death in 1983. Once you descend 26 feet underground the large lot, you discover bedrooms, a kitchen, a pool, a guest house and even a replica front yard. 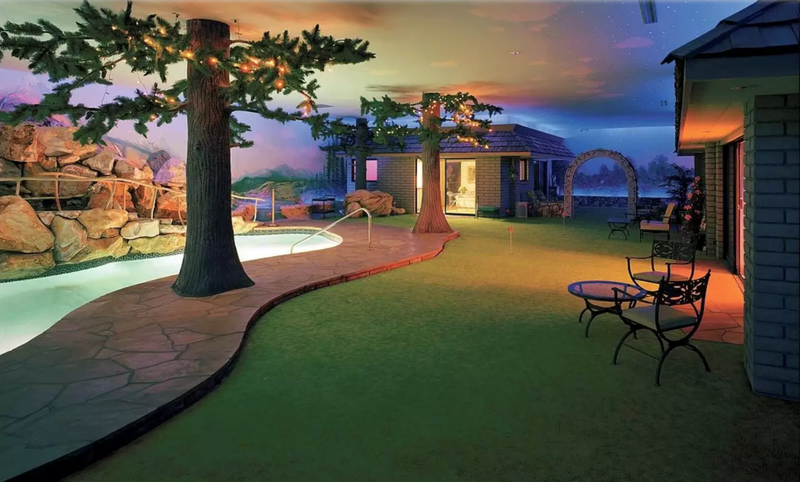 Replete with a putting green, fake trees, lights and a grill designed to look like an oyster, the space is made to look like it’s truly outside. The underground house has mostly retained its original 1970s décor — with the now-retro floral bedspreads and neon pool signs. Stephan LaForge, of Berkshire Hathaway, is the listing agent in charge of selling the property. He told Time that he receives a lot of calls about the property but most come from those who want to learn more about it rather than buy it. Still, LaForge might have serious trouble finding someone to buy the house for the $18 million he believes it’s worth based on estimates of what the property would cost to build today. It last changed hands for only $1.4 million in 2014.